Green is very good for people’s eyes, and green would also bring hope and energy to people. So if you need to build tremendous flash page flip book which can totally draw people’s attention, the green viewing style of page flip book themes can help you achieve the target. 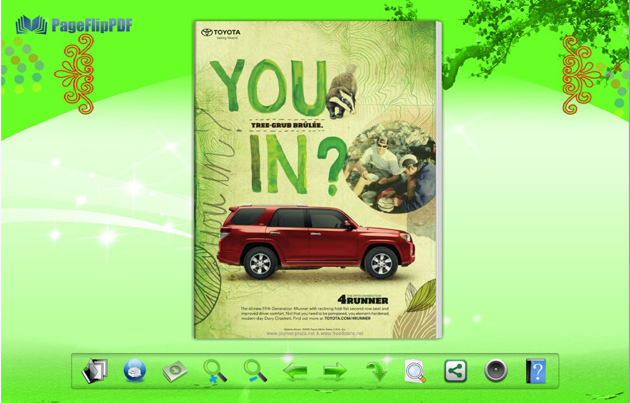 But the point is that you should have page flip book maker before to use these great page flip book themes. Here can do these jobs for you, so come to here to get the page flip book maker if you don’t have one and download these wonderful themes to decorate extraordinary page flip book or page flip magazine, or page flip company brochure etc. 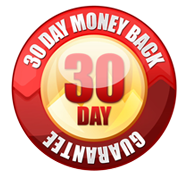 The important thing is that you can use these pre-designed themes without cost. 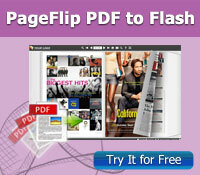 Free download page flip book maker of PageFlip PDF to Flash or PageFlip PDF to Flash Pro. 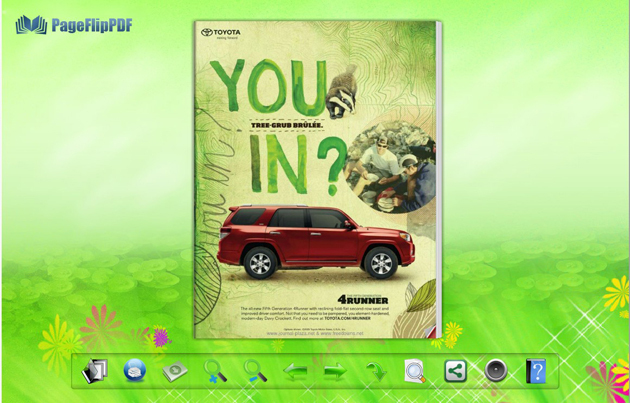 Easy make flip book, e-books, publication, digital magazine with PDF files. 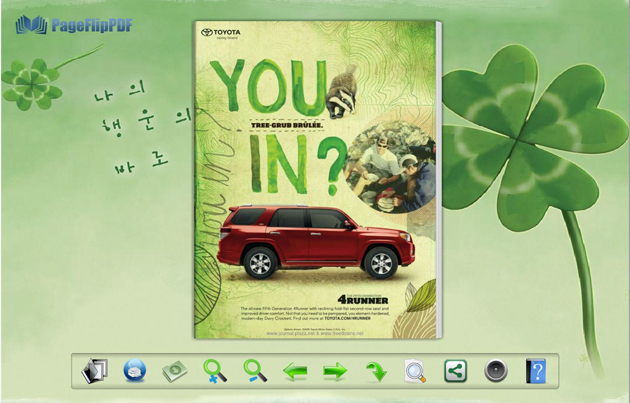 Help you to convert PDF to page flip with multimedia objects integrated. Turn your perfect PDF file(s) to digital book with page flip effect on Mac operate system, you can add many multi-media objects on pages. PageFlip PDF to Flash is a brilliant piece of software I am so pleased I got it. Just wanted to tell you how great your product is!! Copyright © 2012 PageFlipPDF Software Co., Ltd. All rights reserved.